After your job has made it through the press, it’s now time to consider how it will be finished. Booklets, Catalogs, Look Books and other multi-page documents that require bindery services have several finishing options such as Saddle Stitching, Wire-O binding (double loop binding) or Perfect Binding. Cards printed on various media can be cut to different sizes and round cornered. Note sheets can be left loose or made into pads containing as few or as many sheets as you like. Brochures may need to be scored and folded. Posters can be cut to any custom size you need. Then laminated with gloss or matte laminate and mounted onto a wide selection of materials including white or black foam core, gator board and PVC. We can also encapsulate your posters with gloss laminate and then rolled for easy transportation. Saddle stitch binding to finish your booklets up to 48 page plus cover. This is the quickest way to professionally bind booklets in 1 day or less. Saddle stitch is also described as stapling the booklets on the spine. Perfect Binding can be used to finish your booklets up to 2-1/4″ wide. We hinge score the covers and bind in 2 days or less. This gives your booklets the look of a magazine. However, we do not recommend it if you have pages with cross over images from the left page to the right page. Last but not lease, Coil Binding is a fast and professional way to bind many different types of corporate jobs. Your proposals, pitch books, menus, scrapbooks, booklets, notebooks and any other high page count set of copies up to 5/8″ thick are all perfect candidates for Coil Bind finishing. We stock white and black plastic coil for all sorts of coil bound books. Round Cornering – just about any card, event badge or postcard. Slot Punching – for all your event and credential badge needs. Contact us for any and all of your bindery needs. 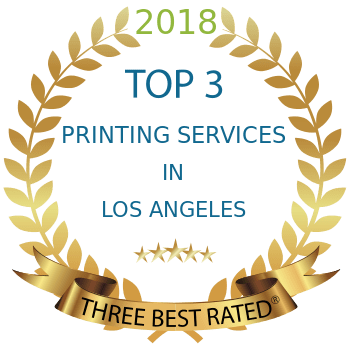 We can handle all of your printing orders finishing options. Additionally, we can do custom work for unique printing requirements as well. To get started and get started right on your print orders, visit our Print Templates section. Most noteworthy is an article written by the designers at Designers Insights. You can read more about bindery options on their website by clicking on this link.